Three adult nonfiction titles for you today. I've really been on a nonfiction kick lately. For some reason, this month it has been hard for me to focus on fiction longer than middle grade--just a lot going on, I guess. True stories like these are usually easier for me to read in smaller pieces, with less of an attention span required to get back into the narrative. I'm still working on Guns, Germs, and Steel, but I have the feeling that beast is going to take awhile to get through. 4 stars: Extreme mountain climbing pre-Everest. In 1950, no-one had ever climbed a mountain higher than 8,000 meters. (Everest had not yet been conquered.) Herzog led a team of French climbers, plus a surgeon, into Nepal with hopes of setting a new record. Annapurna was one of two peaks under consideration for the assault. Neither had ever even been explored, let alone climbed. The team was under a time constraint, as well, because the monsoon season started in 2 months and they had to be out of the mountains by then, for safety reasons. After setting up Base Camp at a small village in the foothills, they started by sending smaller groups up on exploration and acclimatizing runs, testing if a climb to the peak of either mountain was even possible. That took a month or more. Finally they had done all the exploring they could do. The one peak--Dhaulagiri--was deemed impossible from any angle. 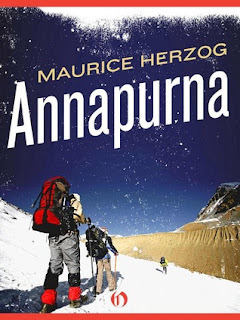 Annapurna would not be easy, but they thought it would be possible. Now they had to begin setting up camps higher up. The final decision wouldn't be made until they actually began the assault. At this point they had approximately 3 weeks until monsoon season hit. Despite the risks, inherent and unforeseen, they decided to go for it. I will say though, I enjoy Armchair Adventuring as much as anybody! This one definitely fit the bill for that. It was a good time of year to read it, too, with the wind and snow outside my window. Made it all the more real. Boy, was I ever glad to be cuddled up on my comfortable couch, rather than at 20,000 feet, stumbling around in a blizzard with only the hope of a cold tent to come back to (assuming one could even find the tent....) As perhaps you can tell, reading this book did not change my mind about my life's ambitions. 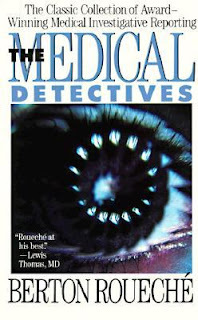 Content: The descent and its aftermath include some vivid descriptions of frostbite and gangrene. Not for those with a weak stomach. 4 stars: Fascinating. A side of history that I didn't know much about. I first came across the history of the German immigrants known as Redemptioners when I read the fictional novel Escape to Zion, by Jean Holbrook Matthews. While I didn't love that book particularly, I was interested in the historical aspects of it. Matthews actually mentioned this trial in her story and went on to explain further in a note at the end of the book. So when I saw this title, I was eager to learn more. This story starts in Germany, with a group of families and friends who all decide to emigrate to America together. In particular, there are 2 brothers--one a shoemaker and one a blacksmith--who decide to take their families and go. Last name of Muller. Fast forward to New Orleans. Hundreds of people have died during the ocean crossing, including several of this group from Germany. The rest are being split up dockside to go work for their new masters. One of the Muller brothers, along with his 3 children, (his wife Dorothea didn't survive the voyage) are sold upriver and by all accounts, never heard from again. Until...one day in 1843 (several years later), one of the other German villagers from that terrible voyage, goes on a walk and just about has a heart attack when she recognizes her long-lost friend Dorothea over a fence. Then she realizes that of course, it can't be Dorothea. This must be one of the daughters. As she talks with this young woman, however, she realizes that the girl is currently a slave. A slave! The daughter of her friend from Germany! 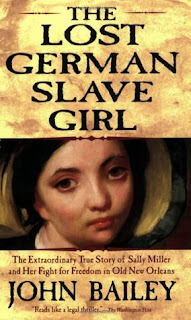 She becomes determined to rescue this girl from slavery and restore her to her rightful place in society. Thus begins the legal battle. This was so very interesting to me. Bailey was a law student when he began researching this trial. His background definitely came through in the book, as several times he sidetracked from the main narrative to tell what current laws were at the time, or judicial history that related to slavery in general and the Sally Miller case in particular. There was also history related to New Orleans itself: how it became a city and the various cultures and influences that shaped it. I found it all compelling. Rather than merely interrupting the story, these asides added to the narrative and my understanding of what was happening. He kept me guessing throughout the whole book. Was this lady really the lost German girl, or not? There were several factors in favor of that opinion, but there were some pretty big holes in the evidence as well. Then, even after all was said and done in court, more evidence kept coming to light--for both sides! Worth your time, if you're interested in this time period or subject at all. A compilation of 25 different unusual medical cases. A handful are presented as the doctor trying to figure out what could be causing certain symptoms, but with most, the disease is known and it's up to epidemiologists to track down the specific cause along with who else might be affected--or infected, as the case may be. Somewhat uneven writing between chapters, with some very slow and tedious to get through (particularly the chapter about aspirin) and others high interest to the end. Since they span decades, I suppose it was to be expected. I ended up retelling many of the stories to my kids. They clamored for more! In fact, my 8-year-old picked it up to read on his own, but got bogged down a chapter or two in. I guess you can tell there's a strong medical influence in our home! Also, always wash new clothes before you wear them. Just...do it. Please. Thank you.